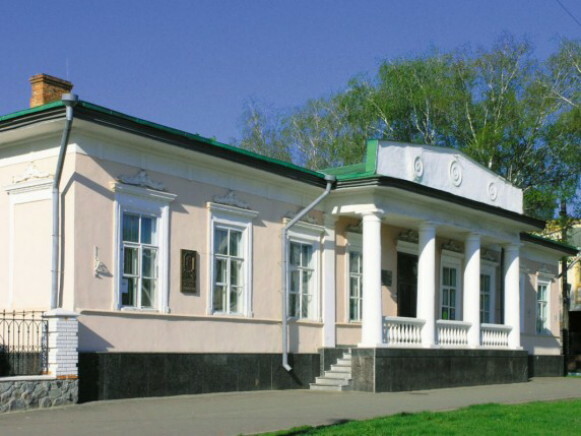 Literary memorial museums [літературно-меморіальні музеї; literaturno-memorialni muzei]. 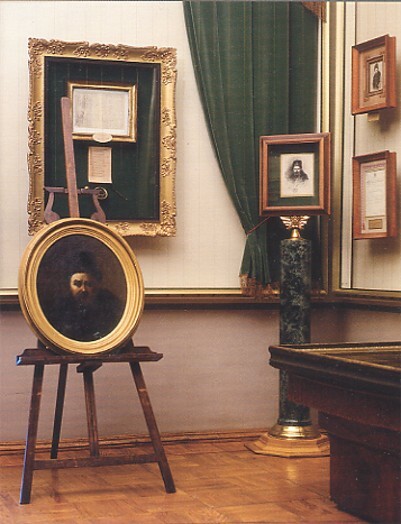 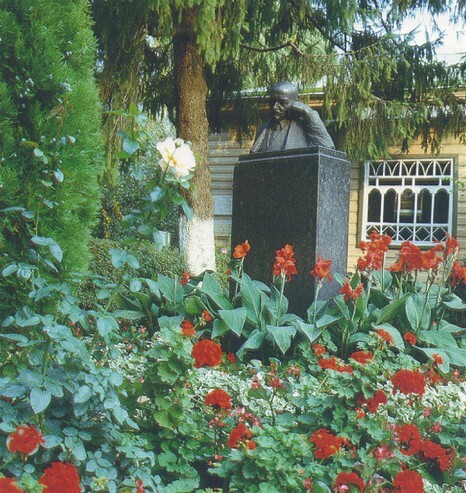 Collections of documents, manuscripts, printed works, monuments, photographs, and personal effects of noted Ukrainian writers usually established in buildings where those writers lived and worked. 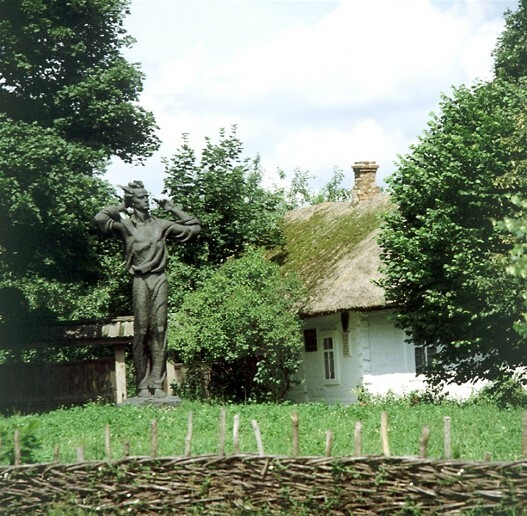 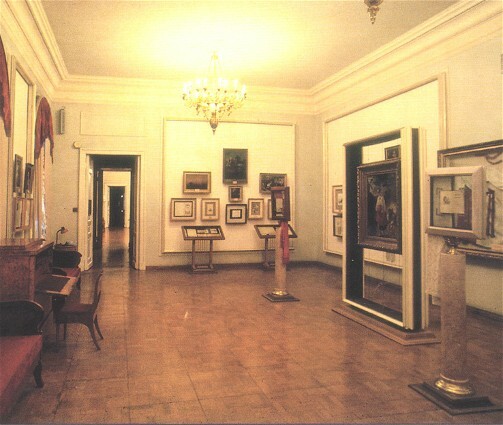 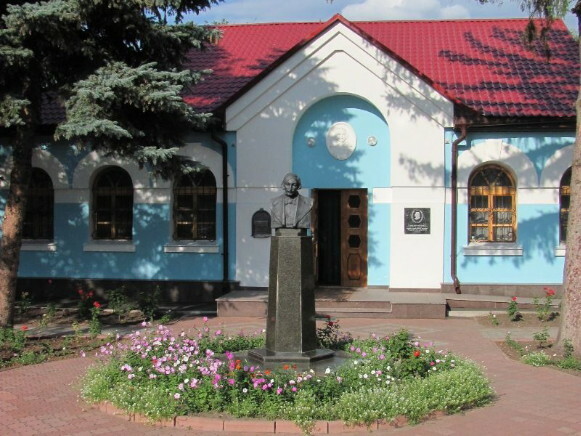 There are about 30 such museums in Ukraine, among them the Mykhailo Kotsiubynsky museums in Vinnytsia (est 1927) and Chernihiv (est 1935); the Korolenko museums in Poltava (est 1928) and Zhytomyr (est 1973); the Nikolai Gogol Museum in Velyki Sorochyntsi, Poltava oblast (est 1929); the Taras Shevchenko Museum in Shevchenkove, Zvenyhorodka raion, Cherkasy oblast (est 1939); the Panas Myrny Museum in Poltava (est 1939); the Lviv Franko Literary Memorial Museum (est 1940), and Ivan Franko museums in Ivan Franko (formerly Nahuievychi), Drohobych raion (est 1946), and Kryvorivnia, Verkhovyna raion, Ivano-Frankivske oblast (est 1960); the Vasyl Stefanyk Museum in Rusiv, Sniatyn raion, Ivano-Frankivske oblast (est 1941); the Olha Kobylianska Museum in Chernivtsi (est 1944); the Marko Cheremshyna Museum in Sniatyn, Ivano-Frankivske oblast (est 1949); the Ivan Kotliarevsky Museum in Poltava (est 1952); the Ivan Nechui-Levytsky Museum in Stebliv, Cherkasy oblast (est 1959); the Markiian Shashkevych Museum in Pidlissia, Zolochiv raion, Lviv oblast (est 1959); the Yaroslav Halan Museum in Lviv (est 1961); the Oleksander Dovzhenko Museum in Sosnytsia, Chernihiv oblast (est 1961); the Lesia Ukrainka museums in Kyiv (est 1962) and Novohrad-Volynskyi (est 1971); the Mykhailo Pavlyk Museum in Kosiv, Ivano-Frankivske oblast (est 1967); the Leonid Hlibov Museum in Chornyi Ostriv, Khmelnytskyi oblast (est 1968); the Maksym Rylsky Museum in Kyiv (est 1968); the Hryhorii Skovoroda Museum in Skovorodynivka near Zolochiv, Kharkiv oblast (est 1972); the Oleksander Korniichuk Museum in Kyiv (est 1975); and the Pavlo Tychyna Museum in Kyiv (est 1980). 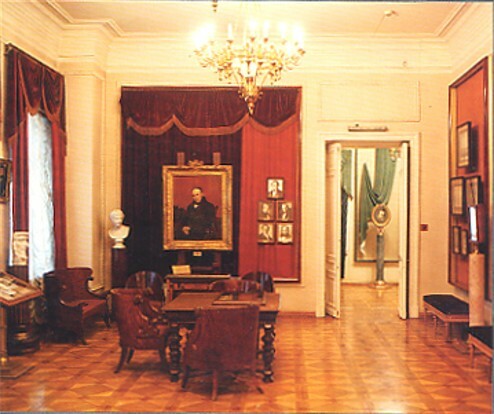 The Taras Shevchenko National Museum in Kyiv (est 1949), the Yurii Fedkovych Memorial Museum in Chernivtsi (est 1945; branch in Putyliv), and the Anton Makarenko Museum in Kremenchuk (est 1951) are classified as cultural-educational institutions. 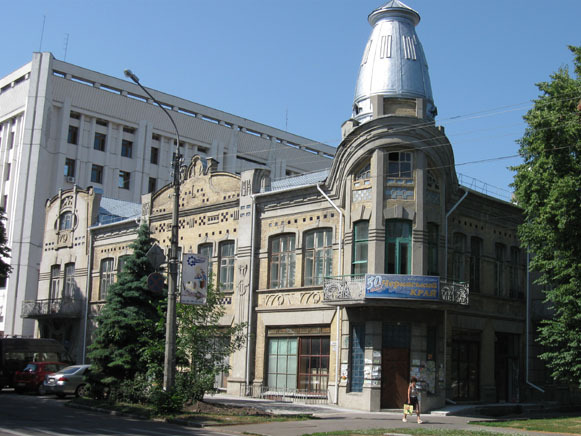 A few are also preserves: the Ivan Karpenko-Kary Khutir Nadiia Museum-Preserve near Kropyvnytskyi (est 1956), the Lesia Ukrainka Museum-Homestead in Kolodiazhne, Kovel raion, Volhynia oblast (est 1949), the Shevchenko Building-Museum in Kyiv (est 1927), and the Shevchenko National Preserve in Kaniv (est 1925). 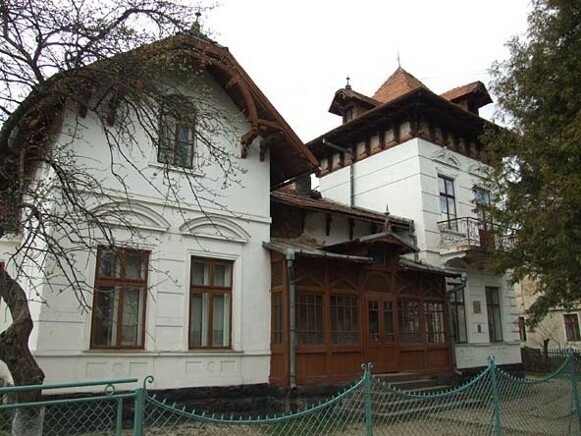 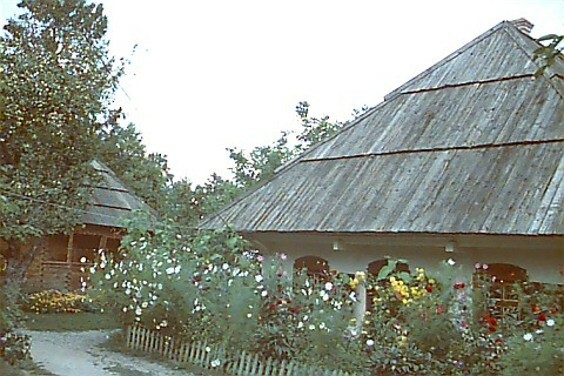 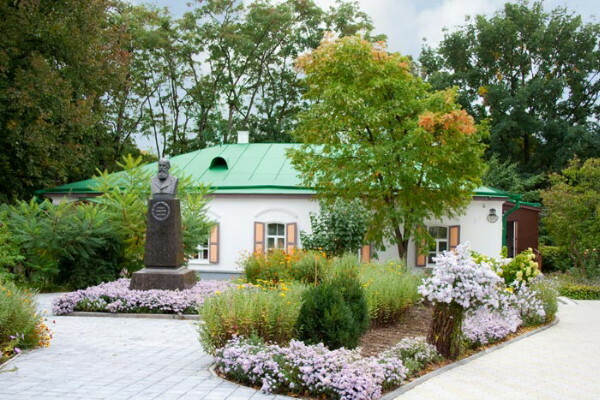 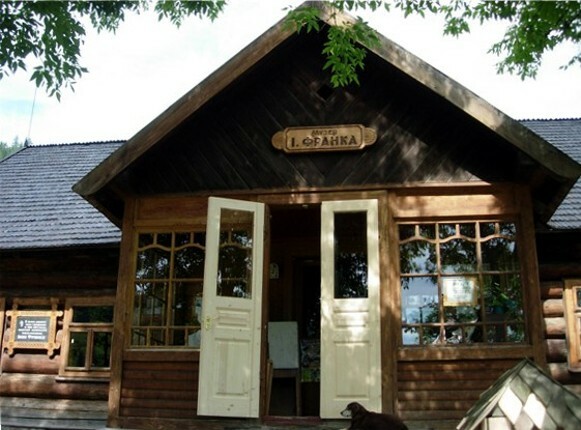 Beyond Ukraine there are several literary museums dedicated to Ukrainian writers: the Marko Vovchok Building-Museum in Nalchik, Kabardino-Balkar AR, Russia, the Lesia Ukrainka Museum in Surami, Georgia, and the Taras Shevchenko Museum in Fort–Shevchenko, Kazakhstan.